Amazon has revolutionized the way that we shop! They are doing it again with the Amazon Dash Button – which you can get FREE for a LIMITED TIME. You will never run out of your favorite items with the Amazon Dash Button! Order an Amazon Dash Button for a product that you order frequently – there are over 150 buttons to choose from with THOUSANDS of items eligible items! 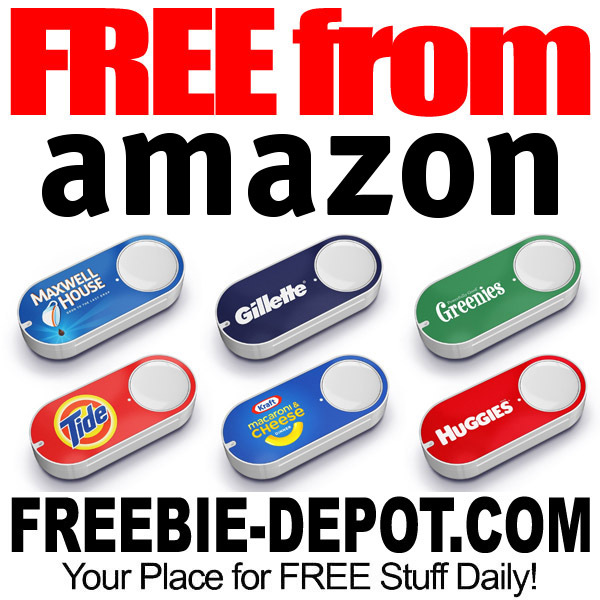 You can order one Amazon Dash Button for each brand! Amazon Dash Button is a Wi-Fi connected device that reorders your favorite item with the press of a button. To use Dash Button, simply download the FREE Amazon App from the Apple App Store or Google Play Store. Then, sign into your Amazon Prime account, connect Dash Button to Wi-Fi, and select the product you want to reorder. Once connected, a single press on Dash Button automatically places your order. Amazon will send an order confirmation to your phone, so it’s easy to cancel if you change your mind. Also, the Dash Button Order Protection doesn’t allow a new order to be placed until the prior order ships, unless you allow multiple orders.